The ICO market has tanked but that doesn’t mean blockchain gaming projects can’t raise significant investment. And that’s what LA-based startup Mythical Games has done, closing a $16 million Series A round from a mixture of crypto-focused funds and traditional VCs. We believe these new economics will come to dominate gaming. Headed by veterans from Activision Blizzard and Yahoo, the lead investor was Galaxy Digital through its EOS VC fund. Mythical Games’ technology will initially deploy using the EOS blockchain, although it expects to be blockchain agnostic in the longer term. Other investors included Javelin Venture Partners, DDC, Fenbushi Capital, Noris and OkCoin. In terms of what Mythical Games plans to do, it’s developing a platform that will enable game developer to create and deploy game items which are secured on the blockchain, allowing them to be customized and traded by players. Some of the funding will also be invested in a slate of games to test and demonstrate how these new item-led game economies will operate. 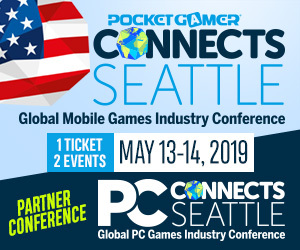 “We believe these new economics will come to dominate gaming, resulting in an even bigger addressable market for the industry,” commented John Linden, Mythical Games’ CEO and previously CEO of Marvel: Strike Force developer Seismic Games, and a studio head at Activision. Other co-founders include Jamie Jackson, who was an Activision studio head working on Guitar Hero, Blizzard senior producer Rudy Koch, and ex-Yahoo director Stephan Cunningham. 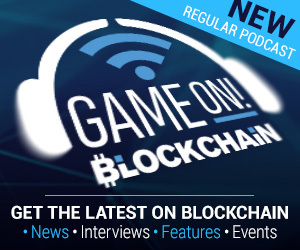 “We believe that gaming – and specifically players’ interaction with in-game economies and virtual goods – will play a key role in how the masses first discover the true potential of the blockchain,” said Galaxy Digital CEO Michael Novogratz. You can find out more about Mythical Games via its website.